NOTE: This contains a 38-minute video tutorial download that is over 350MB large. Please be sure your internet connection can handle it before purchasing. When it comes to quality, don’t settle! 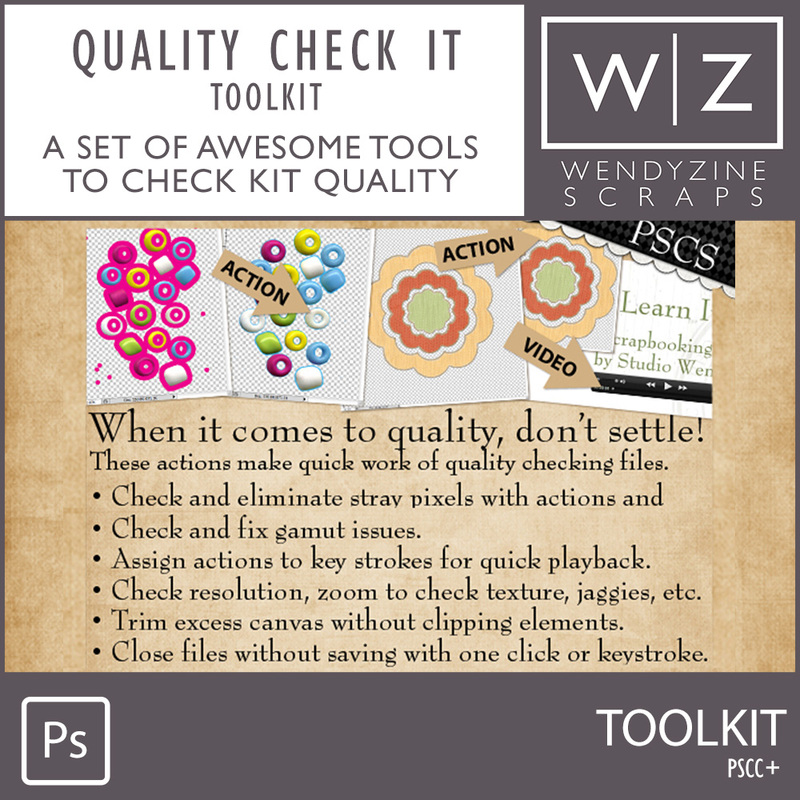 These actions make quick work of quality checking files. Quality check your kits before release! This action pack comes with over 38 minutes of video instruction on what to check and how to do it quickly. This set is also perfect for creative team members who QC for their designers (or for hire). Check and eliminate stray pixels with actions and pixel checker styles. Check and fix gamut issues. Assign actions to key strokes for quick playback. Check resolution, zoom to check texture, jaggies, etc. Trim excess canvas without clipping elements. Close files without saving with one click or keystroke. This is more than just another action set. It comes with a comprehensive walk through quality checking a kit. It also reviews some of the most common mistakes designers make and explains how to fix them. Personal use, S4H or Designer use at no additional charge.